Experts in flexible solar protection for over 40 years. Serge Ferrari has established itself as an innovator in the performance fabrics industry. Founded in 1973, their creative products are used globally in more than 80 countries. Their patented Précontraint process creates fabrics out of flexible composite materials for acclaimed dimensional stability. Not only are they easy to handle but they also remain stable against the elements. Ferrari fabrics are sought out by fabricators and architects for their inventive, functional applications. 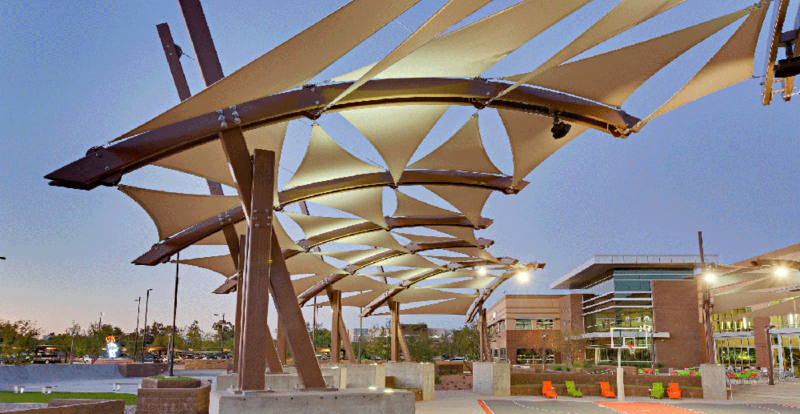 They have a place in a range of fields from advanced solar shade to custom-fit membranes for challenging structures. Best known for their strides in solar protection, they’ve carved a reputation across multiple markets for the unique benefits they offer. With their North American HQ based in Florida, their team of experts recognize the effects of harsh sunlight. With their sight on sustainability, many of their fabrics offer energy-saving attributes, recyclable material, and GREENGUARD® certifications. Serge Ferrari textiles offer long-term durability, structural stability, lightweight construction, and smart coatings. We carry Serge Ferrari fabrics in three popular categories. 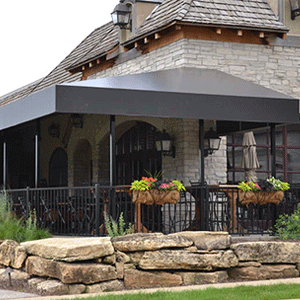 Choose from functional aesthetics in awning canvas, screen and mesh fabric, and marine fabric. Their Soltis collections bring premium solar protection while their Stamoid collections serve seaworthy performance. Proof Vivo™. Great for commercial, residential, patio, and retractable awnings. 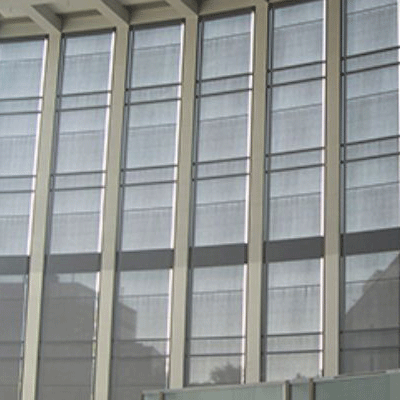 screen and mesh fabrics are specially designed for modern window shade and outer façade blinds. Offered in open-weave and blackout options, Soltis solar screen fabric blocks UV rays to keep interiors cool and free of glare. While effective privacy screens, the wire mesh also works well as an insect screen. Stamoid® marine fabrics are equipped with everything you need to stay above water. 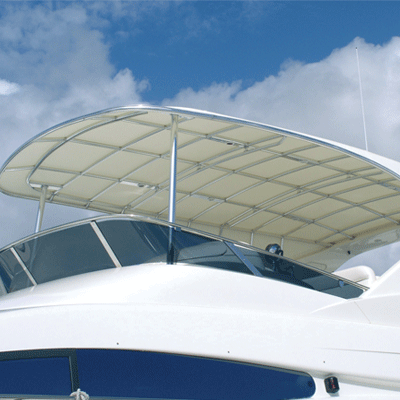 With mold and mildew-resistant properties, they perform well for use in boat covers and enclosures. The fabrics are also easy to clean and store. Choose from five different styles, depending on size, weight, and application. Pair Stamoid marine fabric colors with Stamoid binding or Stamoid facing for a clean trim. The bias-cut binding is used to finish off raw fabric edges in a boat top or cover. The pre-folded facing is commonly used on borders of clear vinyl marine windows. It is especially useful for hiding zippers. See below for care and cleaning guidelines, sample cards, and warranty details. To see how Serge Ferrari awning fabrics will fit into a specific space, try our Awning Composer® software. Or learn more about Serge Ferrari's latest rebrand.